Zachary loves trains and will sit for hours building tracks and making up his own little stories as he zooms trains about on their journeys. 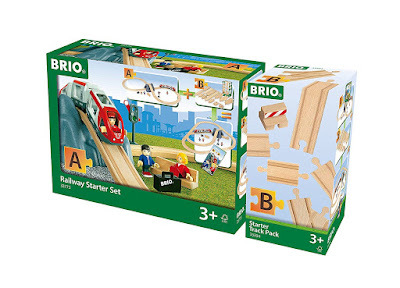 He and his twin sister Zoey have recently been putting the BRIO Railway Starter Set and a Starter Track Pack to the test and have both been having lots of fun doing so. The BRIO Railway Starter Set is the perfect set for any little budding train enthusiasts to get up and running with. 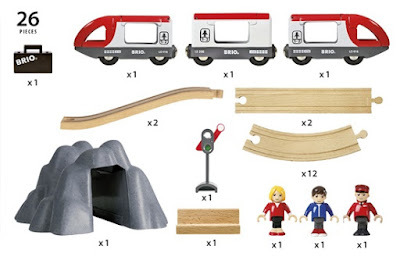 It contains 3 Figures, 1 Signal, 1 Suitcase, 12 Curve track pieces, 2 Straight track pieces, 2 Slopes, 1 Bridge/Tunnel, 1 Bench, 2 Engines and a Carriage. It is a great set to get your child used to independently building a classic figure of eight track with a bridge and tunnel. The twins have both been mastering the art of track building recently thanks to this set and have been having a lot of fun chugging the train through and over the tunnel. Zoey loves operating the stop and go signal and getting the passengers to board Zachary's train which they then send off on adventures, sometimes to the zoo, other times to the seaside and their favourite destination of all, Disney World. 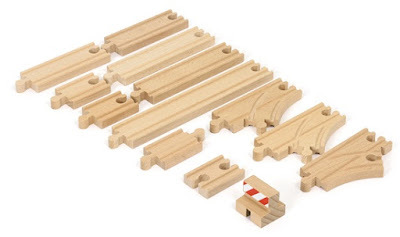 They were definitely delighted when I introduced the Starter Track Pack which allowed them to extend their track with it's 1x Buffer, 3x Junctions, 4x Mini Straights, 1x Long straight, 2x Medium Straights, 2x Small straights and gives them 5 more layout possibilities. 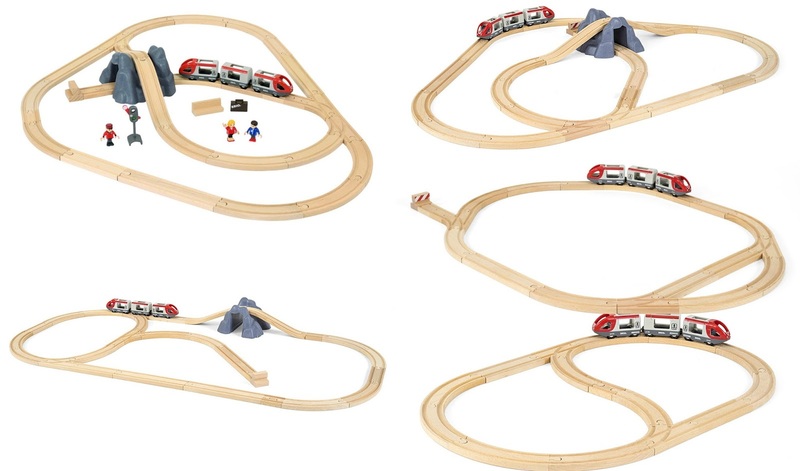 These two sets combined have definitely turned the twins into little master track builders and they are loving it. *Disclaimer: I received both the BRIO Railway Starter Set and Starter Track Pack for review. All views and opinions are my own and unbiased.